Goth-metal outfit Lake of Tears will kick off its upcoming China tour with a Beijing gig. The band's music features ragged vocals and crushing guitars. Lake of Tears will perform songs from its earlier album and its recent record, Illwill, which features darker death metal than its predecessor. After playing Beijing, the group will tour Shenyang, Dalian and Shanghai. Lake of Tears was founded in the early 1990s by Daniel Brennare, Jonas Eriksson, Mikael Larsson and Johan Oudhuis. Tibetan singer-songwriter Han Hong will start her 2012 world tour The Beautiful World to promote her new album with a Beijing concert. Han is among the country's most acclaimed singers and is celebrated for her interpretations of Tibetan folk songs. She is the daughter of vocalist Yong Xi. The third Rock 'n' Roll Spring Festival Gala will bring more than 30 rock legends from the mainland and Hong Kong to Beijing. Luo Qi, who claims to be the country's first woman rock singer and has withdrawn from the spotlight for years, will make a comeback. Hong Kong veteran rocker Yip Sai-wing, who is the former drummer of Hong Kong rock outfit Beyond, will perform solo. Other headliners include Beijing rocker Hao Yun and local rock bands, such as Heaven. Central Academy of Fine Arts professor Wang Yuping is hosting his solo show at Cafa Art Museum. On display are more than 100 of his ink figure paintings, oil landscapes and installations. Most depict average people and daily life. Wang was nominated as Teacher of the Year 2011 for his outstanding instruction of students and his unique painting style. Russia's Kremlin Ballet Theater will stage the classic Sleeping Beauty. The ballet is widely hailed as the best after Tchaikovsky's Swan Lake. The theater says it is committed to maintaining classical traditions and embracing bold innovation. It was founded in 1990 and is directed by Andrey Petrov. The Taikang Art Space is hosting a group show, featuring photos, oil paintings, experimental ink works, prints, installations, videos and multimedia pieces, by 38 artists of different ages. The lack of a theme gives viewers more freedom to think and imagine. And the exhibits are arranged without identification of their creators, curator Tang Xin says. 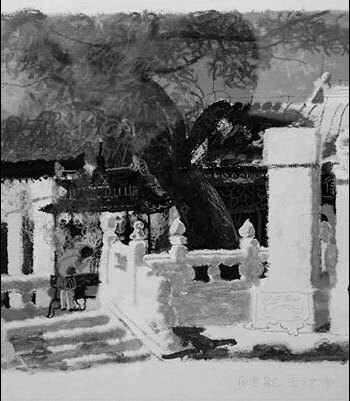 Young ink artist Song Bin is staging his solo exhibition at Wu Dongkui Art Museum in southern Beijing. On show are more than 50 landscape and flowers-and-birds paintings. The modern drama Shou Sui (Stay Up Late on New Year's Eve) by Taiwan director Li Zongxi tells the tale of a household of women celebrating the Chinese New Year. Their secret loves and pains, and their pasts and futures, are revealed through conflicts that break out among the three generations. The play stars Zhou Xiaoqian, Xie Chengying and Jia Jinghui. Ten contemporary artists have been invited to create artworks featuring dragons, since the traditional Chinese horoscope's Year of the Dragon will start in January 2012. Artists have used recycled materials and presented a discussion of traditional Chinese culture with expressions of contemporary art in the open space of LifeHub@Jinqiao, a shopping mall in Pudong district. 10 am to 10 pm, until Feb 28. LifeHub@Jinqiao, 3611 Zhangyang Lu, Pudong New Area. An exhibition showcases recent artworks by Beijing-based Cui Jie and Li Shurui, and Harbin, Heilongjiang province-based duo Zhang Jungang and Li Jie. The displays examine the relationship between their lives and contemporary landscapes.